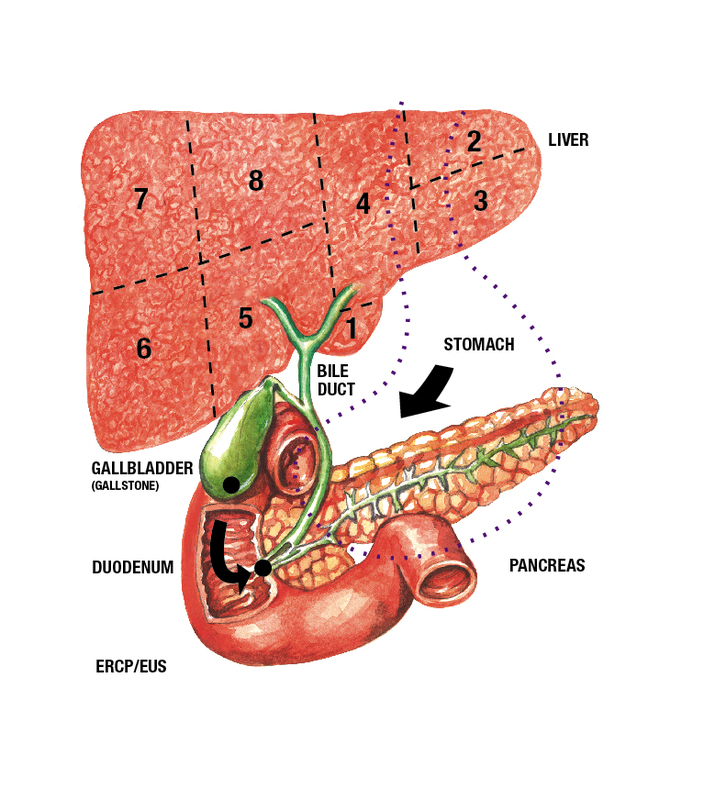 An ERCP is a specialised test performed to treat patients with Jaundice, which has arisen as a result of blockage or obstruction of the main bile duct. ERCP is performed under x-ray control and involves the use of a specialised side-viewing fibre-optic camera, which is passed down through the mouth into the oesophagus (food pipe) to gain access to the 'papilla', located in the duodenum allowing access to the main bile duct (see diagram). Any one of the possible causes of bile duct obstruction can then be treated either by simple stone removal or by the placement of a plastic stent in cases where the cause is a malignant stricture. ERCP does carry a small risk of causing pancreatitis and bleeding.